Around 30 weeks, the growth of the brain markedly increases. 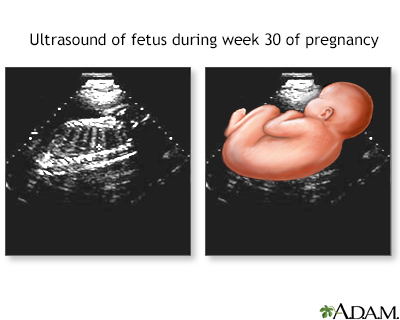 Most systems are well developed, and the fetus can see and hear. A baby may survive if born this early, although the lungs may still be immature.